This recipe comes from my favorite cookbook du jour: Dishing up the Dirt, Simple Recipes for Cooking Through the Seasons by Andrea Bemis. If you like cooking with whole, seasonal foods – which I hope you do – this is an invaluable resource to have. All the recipes I’ve tried so far are easy, tasty, and healthy. Win, win, win. An added bonus are the intimate stories at the beginning of each chapter, endearing accounts that detail the author’s experience as half of the farm team at Tumbleweed Farm in Oregon. Honestly, the whole book is a thing of beauty. It is about this time of year (April/May) when I start noticing mint pea soups showing up on seasonal restaurant menus. Along with fresh taste of greens, mint and peas are two of the flavors I most look forward to in spring. 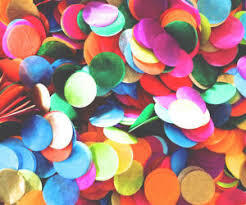 The bright flavors and color always make me happy. I recently made the recipe I’m posting from Andrea’s cookbook below, and last week I also ordered a pea mint soup at a farm-to-table diner in Minneapolis. That soup used a small dollop of creme fraiche instead of the coconut milk that Andrea calls for, and the chef also drizzled in a swirl of chili oil before serving to give it a nice zip. Since I don’t plan on getting tired of pea mint soup anytime soon, I’m also going to experiment a little and see if I can recreate something similar to what I tasted that day at brunch with my friend. Spring will be here for a couple months; I’m going to make the most of it by enjoying a parade of flavors I’ve waited for all winter. This soup reminds me how sometimes the simplest foods can be the most satisfying. Heat the oil in a saucepan over medium. Add the onion and garlic. Saute until the pieces are soft but not browned, about 3 minutes. Add the peas, mint, coconut milk, 1/2 teaspoon salt, and 1 1/2 cups water. Bring the mixture to a low simmer, then turn off the heat. Working in batches, transfer the soup to a high-speed blender and process until smooth. Add additional water to thin if necessary. Taste and adjust salt as needed. Serve the soup warm or at room temperature with a tiny squeeze of fresh lemon juice, a sprinkling of pepper, a drizzle of olive oil, a few radish slices, and a sprig of dill. These engineered foods can keep us stuck in a pattern of overeating because it’s quite challenging to stop eating them once we start. In fact, they are designed to be difficult to stop eating, and it has very little to do with willpower. These junk foods either possess excessive amounts of salt, sugar, or fat or they’ve been engineered to have just the right ratio of sugar/fat, salt/sugar, salt/fat. In either case, the eater gets a nice hit of dopamine – the “feel-good” neurotransmitter associated with bliss, euphoria, concentration, and motivation – with each bite. This trains our taste buds to not only receive less pleasure from the subtle but delicious flavors of whole foods but to desire and seek out hyperpalatable foods instead. These cravings can then lead to food addiction. To reiterate: food chemists intentionally suffuse food products with increased levels of fat, sugar, salt, flavors, and food additives to tap into and train our brain’s reward system to desire and consume these engineered foods. I hope you find this information as creepy as I do. The intense flavors we experience when we eat these junk foods are simply not available in natural foods. An apple is sweet, and pineapple is really sweet, but neither holds a candle to the utterly intense sweetness of an Oreo or a Girl Scout cookie, in which oodles of sugar are paired with just the right amount of fat. It’s no wonder some people can plow through an entire sleeve of cookies before realizing what has happened. The pleasure center of our brain lights up as dopamine is released and we feel happy and calm after bingeing on those cookies. Pizza, chips, and french fries top the list of super salty hyperpalatable foods; cheeseburgers and bacon are other examples of that irresistible and exquisite salt/fat combo. When faced with the choice between a bowl of lightly salted brown rice, roasted and salted potatoes or sweet potatoes, or salted vegetables versus any of the aforementioned super salty addictive foods, I think we all know what’s going to win. It’s no wonder many people can’t stop at one or two pieces of pizza, even if it means their bellies hurt afterwards and they have to unbutton their pants when all is said and done. Again, that pizza is engineered to keep us eating it long after we’re full. Your willpower muscle will likely be a pretty weak muscle around hyperpalatable foods. Remember, these foods are designed to be addictive, so it’s far less about willpower and more about the way your brain has been conditioned to crave and enjoy these foods. Unfortunately, we live during a time when we are surrounded by hyperpalatable foods; therefore, my best advice is to simply limit your exposure to them. Don’t bring these foods into your home regularly. If they are not in your house, you are far less likely to eat them. If you’re at a social gathering and find yourself faced with a big bowl of chips or sweets, do your best not to start eating them. If you start, you’ll struggle to stop. Seek out anything resembling a whole food instead and save yourself both the remorse and bellyache later. 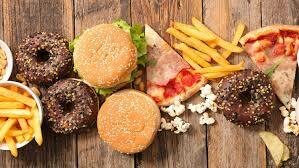 In summary, it might work best to think about ending the consumption of hyperpalatable foods as a break-up. There will be a period of mourning. You will miss them, even if it was a one-sided relationship. And you may even feel crummy for a while while your body detoxes and goes through withdrawal. But the other side of this break-up will be a fresh start complete with taste buds that can actually taste and enjoy the natural sweetness of an apple, appreciate the rich, uncomplicated flavor of raw nuts, and feel satisfied with roasted Brussels sprouts or sweet potatoes as a snack. I know it sounds weird now, but it’s possible. And the rewards are far greater than a short-lived dopamine hit. March Madness is here. No, I’m not talking about the NCAA tournament; I’m talking about cabin fever, the deep longing for spring, the burning desire to feel the sun’s warmth as we enjoy long walks outside without fear of slipping on the ice and breaking a bone. Mother Nature dealt Minnesota and much of the U.S. a winter fit for the history books, which has made many of us (even those of us who “love” winter) feel like we’ve come down with more than a mild case of madness. March is also my birthday month. March Madness indeed. People close to me know I tend to go somewhat crazy with birthday festivities, but this year I’m approaching the month more intentionally than past years. I’m being extra choosy about where I spend my time, energy, and money. I’m sure I’ll enjoy a few glasses of wine over various birthday excursions, and I’ll likely indulge in a substantial piece of flourless chocolate torte with raspberry sauce and hopefully a few fresh mint leaves (not that I’ve given it much thought, of course), but aside from those indulgences I’ve decided this year’s March Madness is dedicated to pushing me forward and closer to the best version of myself I can be. After all, the best way to honor the gift of another year of life would be to honor and take excellent care of this life and body I have now. So I scheduled a few 1-on-1 strength training appointments in addition to my group sessions at Discover Strength since staying strong as I age is paramount. I also booked a couple bodywork sessions to reward myself for my planned extra physical activity. I’ve already had a fun night out dancing with a friend, and I have another March dance date on the calendar because dancing makes my soul swell in a tsunami of joy. My whole point in sharing all this is to stir up a little curiosity in you: what could you do for yourself this month that would be extra loving? Real self-love and self-care is about giving our body, mind, and spirit what it needs. What could you commit to for a month? What would make your soul swell in a tsunami of joy? A month is simultaneously a manageable AND significant amount of time in which to make powerful changes. Don’t hesitate. Just go for it. Be brave and shake up your life a little. There’s simply no excuse for a boring salad. Today I’m sharing a winner of a salad recipe I’ve personally tested with three different groups on three different occasions with overwhelming success each time. It’s an inventive crowd-pleaser, and I suggest you tuck it into your back pocket so you’re armed and ready the next time you’re asked to be the salad guy or gal for a gathering. 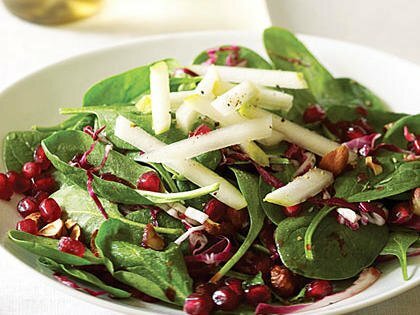 The first time I made this Pomegranate Pear Salad was for a holiday celebration on my dad’s side of the family. Let’s just say we have lots of “conventional American eaters” in this group – peeps who load up on meat and dairy and go light (or totally skip) the veggies and anything else they deem “new or exotic.” This group wants their food familiar, hearty, and not necessarily healthy. But at least half of the group tried my salad and loved it. Several of my cousins and aunts asked for the recipe after commenting on the bright, interesting flavors – the ultimate compliment. Success! Since then I’ve made it for two distinctly less fussy groups of friends, all of whom strive to eat healthy. I was pretty confident they’d enjoy it, but even so you can never be sure that salad is going to go over well on a cold winter’s day. I’m happy to report it ended up being a delicious complement to chili one day and to roasted chicken and sweet potatoes another day. I think the palate cleansing flavors and the natural sweetness in the fruit and dressing hit those taste buds that didn’t get satisfied by the spicy and savory flavors in the rest of the meal. When ready to serve, simply add salad fixings to salad greens and toss well. I typically let each individual dress her own salad with the Pomegranate Pear Dressing, but feel free to dress the salad just before serving, if you think that will work better for your group. I changed my life dramatically when I began batch cooking. For those of you who aren’t familiar with this term, “batch cooking” is the practice of spending a few hours one to two times a week prepping, cooking, and properly storing food so you have ready-to-go healthful meals at your fingertips. This is a practice I loosely began in college, mainly because most of my friends were busy watching football on Sundays (a sport I don’t like), and I often had no one to hang out with. Somehow I got the idea to spend my Sundays cooking, which resulted in me feeling rewarded with a fridge full of healthy meals I could eat throughout the week. In the decades since, I’ve become much more practiced and savvy at batch cooking, and I believe it is one of my keystone habits that helps my entire week unfold somewhat predictably and flow smoothly. You get the idea. I’m guessing you’ve heard yourself saying something similar. Heck, I’ve said a couple of these things before, but those occasions have been rare because I’ve established the keystone habit of batch cooking. Home cooking is essential to health, but it’s a skill that, unfortunately, many people have lost. 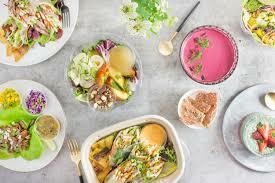 You and your family will eat whatever is readily available in the refrigerator or cupboards. If you don’t cook regularly, you’ll rely more on processed foods and restaurant food, which are usually not the best choices for our health. There’s nothing wrong with having these things sometimes, but I discourage people from eating this way daily. I’m excited to help rekindle the art and joy of cooking in your life. The #1 reason people give for not cooking is a lack of time. Many of us have allowed our lives to become very busy and fast-paced. In fact, it takes solid boundary setting skills and clear intentions to NOT allow our lives to become overbooked. Take a few minutes now to evaluate when you could set aside 3-4 hours to cook during the week (you’ll likely become faster the more you practice). If 3-4 hours is a stretch, find 2 hours. You can get a solid start in 2 hours. As I mentioned above, Sundays are usually a great day for me to knock out a bunch of meals. If I make other plans on Sunday, then I immediately figure out an alternate time to cook; sometimes it’s Saturday, sometimes it’s Monday late afternoon/evening. Just like anything else that’s important to you, you will need to schedule it in order for it to happen, and you might have to say no to something else in order to squeeze your cooking in. The #2 reason people give for not cooking is that they don’t know how. Cooking is a skill just like any other skill, so if you don’t know how to cook there is simply no way around the learning process. Start with a simple recipe and give yourself the space to learn and make mistakes. Everybody burns things and attempts a recipe or two that doesn’t turn out. Every mistake gets you that much closer to figuring it out next time! Consider taking a knife skills class or a Cooking 101 class to help get you started. Keep track of your questions and lean on me, or ask a friend who likes to cook to come over and show you some easy tricks. You can also ask Google or tap YouTube for how-to videos about anything you find confusing. The #3 reason people give for not cooking is that they don’t enjoy it. One common reason people don’t enjoy cooking is they’re too busy and don’t give themselves the time to cook a nice meal – so it becomes a stressful activity. Nobody enjoys that. A second common reason is that they simply haven’t practiced enough so they lack confidence. We already addressed these two obstacles above. The other reason I hear somewhat frequently comes from people living alone who say, “It’s no fun to cook for myself.” My response is always, “Let’s explore why that is.” To cook for oneself is to love oneself. You are worthy of quality, home-cooked meals. You are worth the time and effort. It might feel like a chore, but it is one of the most important things you can do to take care of yourself, so I encourage you to start dismantling that story you have. All of that said, I empathize with people who don’t want to cook because, believe it or not, there are days when I don’t feel like cooking either. If my week has been unusually busy, I’ll definitely feel resistance to spending my afternoon doing this weekly chore, but because it’s become a strong habit I rarely give myself the option of not doing it. Playing music I love while cooking. I have so much fun pulling out old CD’s and jamming out while preparing our food for the week. Playing Ted Talks or other YouTube videos on topics that interest me. If you’re into a TV or Netflix show and you have the means to play it in your kitchen, watch/listen while you cook. Nobody said we have to chop, prep, and cook in silence. Cooking with a friend. Try inviting a friend over to batch cook with you. Several of my clients have played with this and have had a lot of fun combining their weekly meal prep with some social time. Instead of going out for a happy hour, knock this task off your to-do lists together and catch up while being productive. Cooking once and eating once is a recipe for spending a lot of time in the kitchen. Batch cooking allows you to make several meals at a time, speed through your clean up all at once, and will then give you several days or more away from cooking (depending on the size of your family). Also, if you’re someone who makes several trips a week to the grocery store, you’ll likely cut that back to one or two bigger trips. Choose meals you would like to make for the week and the day(s) and time(s) you will prepare them. Use a grocery list tailored to your family’s needs. Batch cooking includes making your meals and also cutting up your greens, veggies, fruits and preparing any snacks for the week. Keep a well-organized paper or electronic copy of your recipes. Make notes after making a new recipe that you enjoy so that you feel confident making it again. Tip: I always double a recipe. If it ends up making more than we can comfortably eat, I store a few portions away in the freezer immediately so I don’t have to worry about it going bad. Having prepared food in the freezer is as good as money in the bank. You reduce stress because eating is no longer an afterthought. You and your family become more efficient in your work because you’re running on high quality fuel at regular intervals. Your thoughts improve because what you eat plays a very significant role in your thoughts. Anxiety levels will drop. When your thoughts improve, your mood improves. When your mood improves, you feel more confident and can move forward in your life in a much more positive, productive way. You will need to feed yourself for the rest of your life. Consider investing more time in food planning, cooking, and learning what foods your body feels best eating. It’s a skill that will repay you for the rest of your life. My hubby reads our local paper’s Health + Science section religiously and often finds nutrition articles he wants my take on. When he handed me this one, Keeping Calories on the Clock, which discusses the impact our circadian rhythms have on metabolism, he didn’t merely suggest I read it – he insisted. Good call, Honey. Circadian rhythms are fascinating. According to some quick research I did, it appears scientists first began studying circadian rhythms in the 1970’s, thanks to some interesting mutations they observed in the lowly fruit fly that led them to identify an internal 24-hour “rhythm” or “biological clockwork” within each of us. But even though scientists have known about these internal 24-hour rhythms since the 70’s, many mysteries have remained regarding the impact and influence circadian rhythms have on our health. Fast forward to the year 2017 and you may remember the Nobel Prize in Physiology/Medicine went to Jeffrey C. Hall, Michael Rosbash and Michael W. Young for their discoveries of “molecular mechanisms controlling the circadian rhythm.” It turns out those fruit flies had some very important teachings for us. Most people already know that circadian rhythms seriously impact sleep cycles and the quality of our sleep, but this “clockwork within our cells” impacts much more than just sleep. 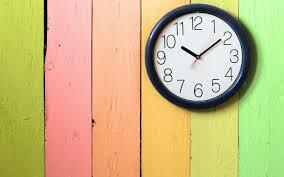 The article I’m sharing with you discusses how circadian rhythms also impact our metabolism. For those of us in nutrition, this is important news to share with the world. It reinforces what we’ve know for a long time – it’s not just about “what” you eat, “when” you eat also matters. If we don’t fall into step with the rhythm our body has set for us, we could be sabotaging our efforts at maintaining a healthy weight. It’s a pretty quick read. Enjoy. We’re hard-wired to eat at key times; Ignoring that can raise health risks. Next time you stagger into a Waffle House in the wee hours of the morning and order the Texas sausage egg & cheese melt (1,040 calories), consider this new research finding: At roughly that hour, the most basic operations of the human body throttle back their caloric needs by about 10 percent compared to the rate at which they will burn calories in late afternoon or early evening. Maybe you’d prefer to come back around dinnertime. This pattern of calorie use doesn’t significantly vary based on whether you’re the server working the graveyard shift, or a 9-to-5er stopping in for breakfast after eight hours of shut-eye, the researchers found. Humans’ “resting energy expenditure” – the body’s use of calories to power such basic functions as respiration, brain activity and fluid circulation – follows a predictable cycle that waxes as the day progresses and wanes as night sets in. The study, published in the journal Current Biology, offers evidence that circadian rhythms dictate not just when we feel the urge to sleep but how complex mechanisms like metabolism operate across a 24-hour period. It may help explain why people who keep irregular sleep schedules, including swing shift workers, have higher rates of obesity and are more likely to develop metabolic abnormalities such as type 2 diabetes. And it demonstrates that whether we hear it or not, our body’s clock is always ticking, locating us in our daily cycle with uncanny precision. At “hour zero” – roughly corresponding to somewhere between 4 and 5am – our core body temperature dips to its lowest point and our idling fuel use reaches its nadir. From that point, the body’s “resting energy expenditure” rises until the late afternoon/early evening. After reaching its peak at roughly 5pm, the number of calories we burn while at rest plummets steadily for about 12 hours. And then, we start again. These new findings are a reminder that no matter how 24/7 our schedules have become, our bodies were built for a slower, simpler world in which humans moved around all day in search of food, ate while the sun was up, and slept when the sky was dark. Today, our appetites and the all-night availability of food may induce us to eat well after sundown. And our jobs may demand that we sleep during the day and care for our patients or drive trucks through the night. But our bodies still adhere to their ancient, inflexible clocks. The findings also come with an implicit warning: When we disregard the biological rhythms that rule our bodies, we do so at our peril. Resting energy expenditure accounts for the majority of the minimum calories we burn in a day. Just to spend a day eating, sleeping and breathing uses 60 to 70 percent of our “resting energy expenditure.” So a serious mismatch in the time when calories are consumed and the time when most of them are burned could prompt the body to make decisions – like sorting calories as fat – that aren’t necessarily healthy. The study adds to a growing body of evidence suggesting that a good 12-hour fast, when aligned with darkness and our bodies’ nocturnal response, may be a way to prevent or reverse obesity. In lab animals and a growing number of people, Salk Institute researcher Satchin Panda has demonstrated the impact of dietary obedience to our circadian rhythms. Others have demonstrated the power of timing by showing how readily it can be disrupted. In a 2014 study, 14 lean, healthy adults agreed to turn their days upside-down over a six-day period. Fed a diet sufficient to maintain their weight, the subjects quickly adapted by turning their thermostats down. Compared to the baseline readings taken upon their arrival (when they were awake by day and asleep eight hours at night), the subjects burned 52 fewer calories on day 2 of their swing-shift schedule, and 59 fewer calories on day 3 of that schedule. Do that for a couple days and you might feel a little off. Do it for months, years, or a lifetime and the result could be metabolic processes that go haywire. When we sleep late on weekends, hopscotch across time zones, or work on schedules that have us up all night then back on the day-shift, “we’re disrupting our clocks and making our metabolisms inefficient, and in the long term, that will lead to disease,” she said. “Staying on the same schedule is the best way to prevent that. “All our life, so far as it has definite form, is but a mass of habits,” William James wrote in 1892. My husband thinks I’m obsessed with self-development. I think the word “obsessed” is a bit strong, but I’ll admit I’m fascinated with all things related to human behavior: why we do the things we do, why we don’t do other things (even when we know dang well they’re “good” for us), and what it takes to develop habits that will drive us toward excellence – or even just contentment. How are some people able to magically harness time and practices that help them consistently achieve their goals and dreams, whereas other people struggle to establish basic habits like picking up after themselves? My bookshelves are filled with the likes of Brene Brown, Debbie Ford, and Stephen Covey, authors who dive into the mysterious workings of human beings. As a health coach I’m essentially in the business of change-making, so learning what makes us tick and how to foster growth is obviously relevant to my work, but beyond that I simply love exploring the topic of self-development for myself. I want to keep learning and improving. The conversation quickly moved from the recommendations themselves to dissecting the mystery around why more Americans don’t exercise. The majority of Americans don’t come anywhere close to meeting those modest recommendations even though everyone knows by now that exercise is important for our health. So why don’t we do it? Once we wade through all of the earnest excuses people offer (with the valid exceptions of injuries and other physical limitations), the only real and true answer left is that most people haven’t built the habit of exercising. At this point in the conversation one of the physicians referred to an “outstanding” book called The Power of Habit by Charles Duhigg. I ordered the book that afternoon and dug into it as soon as it arrived. “Habits are technically defined as ‘the choices that all of us deliberately make at some point, and then stop thinking about but continue doing, often every day.’ At one point, we all consciously decided how much to eat and what to focus on when we got to the office and how often to have a drink or when to go for a jog. Then we stopped making a choice, and the behavior became automatic. It’s a natural consequence of our neurology. And by understanding how it happens, you can rebuild those patterns in whichever way you choose. Most of the choices we make each day may feel like the products of well-considered decision making, but they’re not. They’re habits. And though each habit means relatively little on its own, over time, the meals we order, what we say to our kids each night, whether we save or spend, how often we exercise, and the way we organize our thoughts and work routines have enormous impacts on our health, productivity, financial security, and happiness. One paper published by a Duke University researcher in 2006 found that more than 40% of the actions people performed each day weren’t actual decision, but habits. Aha! That last paragraph you just read was illuminating for me. “The brain stops fully participating in decision making. So unless you deliberately fight a habit, the pattern will unfold automatically.” The author goes on to explain how necessary and beneficial habit loops are to us – without them our brains would shut down, overwhelmed by the minutiae of daily life. I had never thought about habits through this lens before. I realized this is probably why most human beings thrive on structure (it saves brain power). It’s why I usually take the same routes home, and it’s why I get ready for bed in the same order each night (brush my teeth, then wash my face, etc.). But it’s also why I automatically reach for that square of dark chocolate at the end of my meal even when I’m full, and why I start singing the same song every evening when I walk into my kitchen. I’m also pretty sure it’s why traveling wears me out even though I love it; everything is new so I can’t rely on most of my daily habits while traveling. My brain has to be more engaged than usual. So my job was to brainstorm ways I could tweak my routine to achieve the same reward (relaxation, dopamine hits). I zeroed in on reading, one of my primary loves, or doing a crossword puzzle, which I also find relaxing and satisfying. Lastly, I reminded myself that I could just turn out the lights and go to sleep (revolutionary idea, I know). After all, the only reason I was defaulting to Facebook was because I was tired. To increase my chances of succeeding, I check in with my friend Maggie and let her know how it’s going. If I’m even tempted to go there, I text her and share what’s happening. Magically, this alone usually stops the old habit, but if it doesn’t I simply come clean and tell her I fell into my old pattern. Exercise: Take a minute now to consider something in your life you’d like to either quit or establish. Review the cue, routine, reward loop and brainstorm some ways you could tweak the routine piece. All great ideas, and notice how they’re all rather simple ideas too. I can’t quite explain it, but if I make our bed in the morning (which I do 95% of the time) the rest of our home stays tidy throughout the day. If I don’t make the bed for some reason, our home gets messy: clothes don’t get hung up, my make-up stays littered across the vanity, dishes don’t get done. It’s weird, but it’s consistent so I trust the pattern now even if I don’t understand it. Batch cooking on the weekend completely changed my life. I urge all of my clients to try batch cooking on the weekend so that delicious, nutritious, grab-and-go food is ready and available throughout the week. With a fridge full of prepared food, my husband and I easily pack our lunches for the day and then come home and eat dinner with no fussing, decision-making, or cooking needed. We never get stuck ordering take-out or settling for last-minute, sub-par food. We just come home from our busy days and eat. We also save a lot of money by eating food we made ourselves. There are exceptions to this, of course, but 90% of the time I go to bed by 10pm so I wake up rested and energized. When I’m rested I’m productive, I’m in a good mood, I’m a better coach to my clients, I’m more likely to workout and workout harder, etc. Talk about a positive ripple effect. Knowing I’ve captured my to-do’s on paper allows my brain to relax before bed, which helps me sleep better. I call this my brain dump. It helps me jump into action right away the next morning because I know exactly what I need to do and where I need to start. This helps me be productive immediately when I’m most energized. Are your keystone habits anything like mine? The New Year is a time when many people set goals or simply give themselves permission to start fresh. 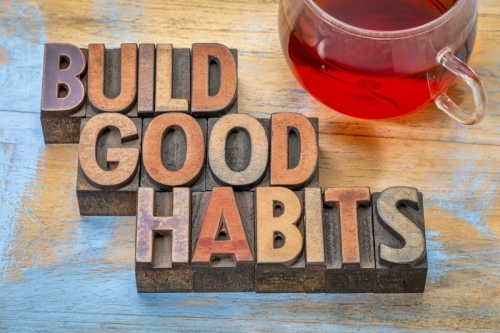 This year I wonder what might shift for you if you spent a little time identifying your keystone habits and focusing on a single keystone habit you think could create a positive chain reaction in your life. Then what might happen if you stayed committed to developing that one keystone habit until it actually became a real habit, knowing it’s a process that will take time. Transforming habits isn’t easy or quick, but it is possible. And now we understand how. Perhaps my husband is right and I am obsessed with self-improvement and human behavior, but honestly – what could be more interesting than figuring out why we are the way we are? And what if, by learning about ourselves (and others), we can develop tools to live a really fantastic life? Habits aren’t our destiny, but they also aren’t going to change themselves. Change can happen with effort and support. Alcoholics can stop drinking. Smokers can quit smoking. Nail biters can stop chewing their nails. Night owls can become early birds, and couch potatoes can develop fitness routines. It just takes awareness, intention, and the drive to change. In other words, there’s hope for all of us who have ever felt stuck. Let’s have fun seeing what we can disrupt in ourselves. The holidays are barely in our rear view mirror, which means it’s that dicey time of year again when many of us are on the verge of feeling or getting run-down. It’s often just after the holidays that our bodies wilt, finally succumbing to the stress and fatigue brought about by celebration after celebration. Late nights, alcohol, sugary treats = the perfect recipe for getting sick. 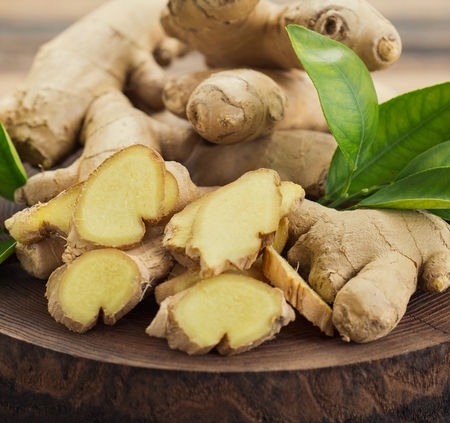 There are also some foods you can incorporate into your diet that are downright medicinal. Onions, ginger, and garlic are three of these wonder-foods, and all three are in the Immune Boosting Carrot Ginger Soup I’m sharing with you this week. If you’re feeling rundown, or if you just want to support your immune system, this is a super easy and tasty soup to try. Heat olive oil in a large stock pot over medium heat. Add onion, ginger, and garlic; saute for 5-10 minutes. Add stock and carrots; heat to boiling, then reduce heat and simmer uncovered over medium heat until the carrots are very tender, about 30 minutes. Puree soup with an immersion blender or in a blender or food processor. Add salt, pepper, and any additional seasonings you’d like. You can also add some coconut milk at this point, if it sounds good to you. Serve hot. When I made the decision to go to nutrition school, I was embarking on a natural next step in what had been a growing area of interest and passion since my teenage years. I had been reading the likes of Dr. Andrew Weil and Dr. Christiane Northrup since I was 16 and already fully embraced the holistic health model, which is why I picked the school I attended – they proudly taught “holistic nutrition,” a relatively new concept back then. The word “holistic” still raised eyebrows, as if it meant something subversive and odd, so I was thrilled to find a school stepping outside of traditional nutritional models that touted the superiority of low-fat diets and artificial (chemical) sweeteners without question. Within our “holistic nutrition” education we learned dozens of different dietary theories and the idea that there is no one right diet for everyone (which I firmly believe). We also learned about Primary Food. “Primary Food” includes vital components of our lives that give us energy and nourishment and contribute to health and vitality. Primary Food doesn’t come on a plate and it is not something we eat, yet primary food feeds us on a very deep, meaningful level and contributes to our overall health in countless, immeasurable ways. For example, think back to a time when you were newly and passionately in love. Everything was exciting. You felt giddy and energized all day, even if you hadn’t slept much the night before. Thinking about your new relationship and looking forward to seeing your new love again was exhilarating. In fact, you probably forgot about food at times or needed less food at a given meal, yet you felt high on life. Quality relationships are one form of Primary Food. Or remember a time when you were deeply involved in an exciting project. You believed in what you were doing and felt confident and stimulated. You felt focused, purposeful, and engaged in your mission. You didn’t need to eat. You were shocked when you looked at the clock and realized you had missed lunch. One’s work, service, or purpose in the world is another form of Primary Food. Consider children who are completely engaged and lost in playing outside with friends. Imagine it is dinnertime, and mom yells out the window, “Time to come in and eat!” If her kids respond at all, they’ll probably respond with something like, “No mom, I’m not hungry! I want to keep playing!” Of course she’ll insist and eventually round everyone up and prod her kids to eat even though they’re probably not particularly interested in food. They’ll gobble down the minimum acceptable amount and rush out to play again. At the end of the day, they come inside, exhausted, and fall asleep without thinking about food at all. Children live on primary food. The fun, excitement, and love of their lives are what really feeds them, and nutrition from food is secondary. On the other hand, think of a time you were depressed, bored, or your self-esteem was low; you were starving for primary food. No amount of secondary food would do. You ate as much as you wanted and kept looking around for something else, but you never felt satisfied. Even on relatively good days, we often come home at night and look into the refrigerator for something to eat, when all we really want is a hug, some time to fully relax, or someone who will listen deeply to us. Primary foods include things like a spiritual practice you feel connected to, a career or purpose in life that inspires you, physical activity that energizes you and makes you want to move, sleep that restores you, and honest and open relationships that feed your soul and your hunger for living and encourage you to be your best self. It is my opinion that the more primary food we receive, the less will be our dependence on secondary foods. The opposite is also true. The more we fill ourselves with and hide behind secondary foods, the less we’re open to and able to receive the primary foods of life. Perhaps this why every spiritual tradition encourages people to fast – to have times during the year where we reduce our intake of secondary foods so that we are more able to be present to the primary foods in our lives. I encourage you to take 15-20 minutes to explore your primary foods. Thoughtfully consider what you are doing to foster health in each of the Primary Foods I listed above. Then consider your challenges, obstacles, or questions in each area. Record your answers. I’ve found that Primary Food plays an enormous role in one’s journey to health, no matter what your current health concerns are. I’m not exaggerating when I say that soups and stews are my favorite things to cook AND my favorite things to eat. This recipe for Red Lentil and Sweet Potato Stew is a great example why – it’s surprisingly simple but still richly flavorful and satisfying. With its warming spices and fresh ginger, this stew is the perfect antidote to a chilly winter day. And it’s a crowd pleaser; I’ve served this recipe to friends, family, and retreat attendees, and I can’t recall anyone ever disliking it. Heat oil in a large pot over medium heat. Cook cumin, turmeric and curry powder until fragrant, about 1 to 2 minutes. Add onion with a few pinches salt, and cook, stirring, until tender, about 6 minutes. Add garlic and ginger and cook, stirring, until tender, about 2 minutes. Add sweet potatoes and bell pepper and cook 1 minute. Add lentils and broth. 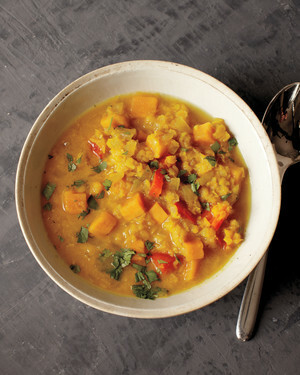 Bring to a boil, then reduce heat and simmer until lentils are tender, 20-25 minutes. Season with salt and pepper. Top with cilantro before serving.